Penn State, already trying to play mind games? Ohio State is hosting Penn State this week in what amounts to the game of the year so far in the Big Ten, and the Buckeyes are marking the occasion with a special uniform. 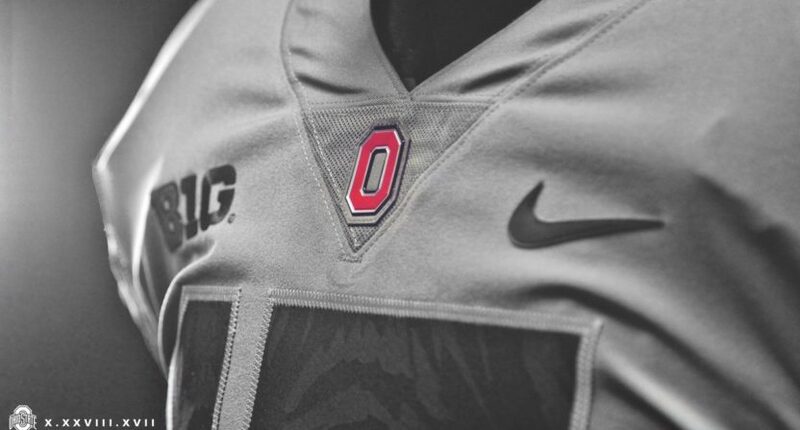 The Buckeyes will be wearing an all-gray uniform for the first time in program history, although Penn State reportedly tried to have the uniform banned. Concerns were raised about whether or not this uniform should even be allowed. NCAA rules regarding uniforms say there must be enough contrast between the uniform and the jersey numbers. This has been an issue in the past with alternate uniforms having numbers shaded the same color as the actual uniform. The reason this is a concern is it make sit difficult to tell what player is where on the field. Aside from the potential broadcast nightmare this presents for those calling the game on TV and radio, it also provides an advantage on the field as identifying a player that needs to be covered can easily blend in and be missed. But there is clearly enough contrast with this Ohio State uniform, as the black numbers stand out easily against the gray uniform. But once the details about Ohio State’s gray uniforms started coming out, Penn State reportedly tried to block the Buckeyes from wearing these uniforms. WTOL-11 sports anchor and reporter Jordan Strack reported the news of Penn State’s alleged complaint via Twitter. According to Strack, Ohio State Athletics Director Gene Smith had to jump into action to ensure Ohio State’s uniforms could be worn. Penn State was trying to block Ohio State’s ability to wear the all-gray because the colors on jersey & numbers were too similar. I was told that Gene Smith got involved as late as last night & got it approved. From Penn State’s point of view, if they really did try to block the uniforms form being worn, you can imagine why they might be concerned about Ohio State’s uniforms. Penn State in all-white and Ohio State in all gray may not have quite the contrast Penn State would find easy to work with. There could be one possible solution for Penn State to address this uniform concern: with the Buckeyes wearing gray, Penn State could choose to wear their blue home uniforms for the game. NCAA uniform rules say opposing teams must wear contrasting uniform colors, and Penn State’s blue and Ohio State’s gray would certainly seem to satisfy that uniform code. Ohio State wore all black uniforms the last time Ohio State hosted Penn State in 2015. Watch for the Buckeyes to go all white at home in 2019 the next time they host Penn State after this weekend.